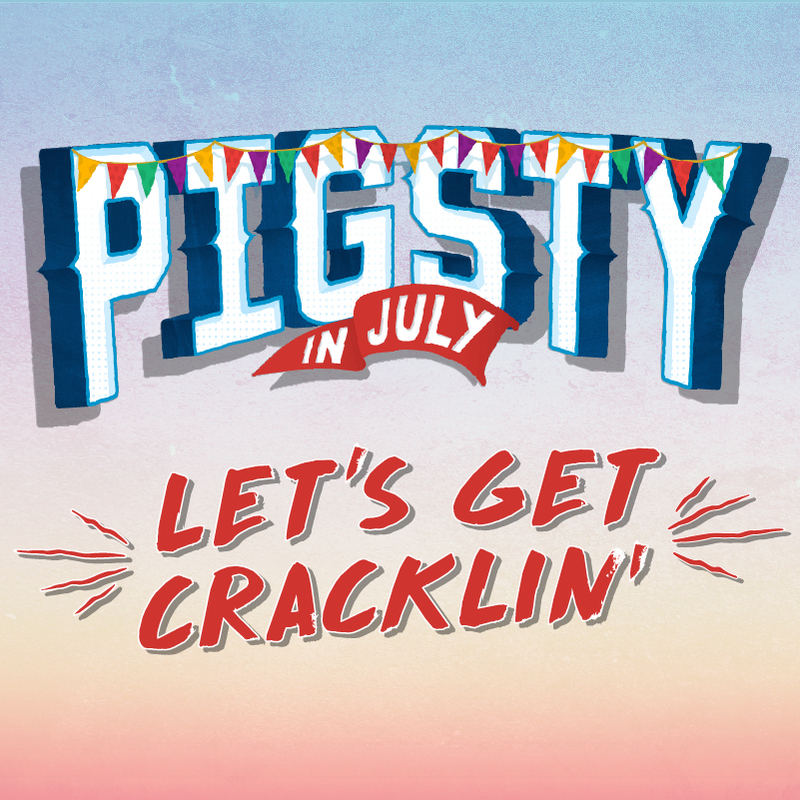 PigSty in July 2018.. (otherwise known as The Pig Day Out) is a decadent day at Dashville, full of live music and comedy, with a second-hand formal dress code, succulent food, top-shelf grog and a few toasty bonfires for good measure. You must be over 18 to purchase tickets. Please note this is a fully licensed event, strictly no BYO beverage is permitted. The event kicks off at midday and rolls through to 10pm. The campground/day parking is available from 11am and your welcome to stay until after youve hopefully enjoyed a relaxing breakfast the following day. 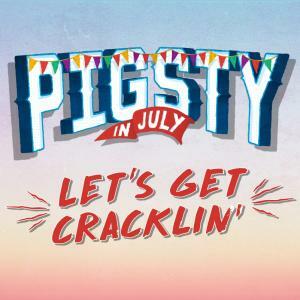 Playing times and full event info are available via the PigSty In July website. # Entry to campground and arena. During the booking process you will be given the option to select/advise your dietary requirements. PigSty in July returns in 2018 with the announcement that home-grown Aussie ska legends THE PORKERS, the act that played the first ever PigSty, will be back to show us why they are an institution on Australia's live circuit, having toured internationally and played major festivals like the Big Day Out, Livid, Vans Warped Tour and Homebake. With an energy custom-made for a party such as PigSty, The Porkers are 31 years young and ready to make this night one to remember. Dashville is also super stoked to welcome back one of the country's best and loudest live acts, the incomparable FRONT END LOADER. With new record Neutral Evil under their belt, the 27-year-old band ain't about to slow down. Their heavy anthems have riffs you could carve with a steak knife. There was more good music at 2017's Gum Ball festival than you could shake a stick at, but one band in particular brought the house down. A young eight-piece group whipped the crowd into a frenzy and had over 100 people queueing after the show to buy a signed CD. Returning from Brisbane is THE STEELE SYNDICATE. This stellar party band fuse rock, funk, soul and reggae into classic tunes that will have you dancing up a storm. Then youve got the powerhouse of the Dashville Progress Society. Chances are we dont really need to explain or introduce this band. If you've been to a Dashville festival, odds would be you're aware of the DPS approach to entertainment. Anywhere between 10-25 people on stage performing some of the greatest songs known to man. The power and passion of this group of local musicians is very contagious and when they hit the stage, it sure does create the platform for a lot of fun..! Then Jolene are stoked to be joingin us from the sunny fields of Northern NSW. This top notch bluegrass meets alt-country family band will make their Dashville debut at PigSty, and from all reports its not to be missed. Kicking off the live music at 2pm will be the stunning Georgie Jones, along with her band. Georgie is a local soul singer from Newcastle who will be sure to get the loins of PigSty punters warmed up and ready to roll into the arvo.